CED offers Robotic systems through Denso and Codian to meet your fast operational needs. They can perform faster and more precisely than any human and react to recipe changes with the click of a button. With the ability to reduce scrap from more precise moves and the ability to drastically ramp up production, customers can see impressive paybacks. Codian Robotics specializes in delta-style robots meant for pick and place applications. 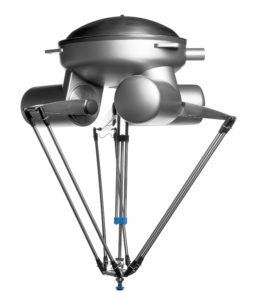 Their robots can be completely water proof IP69K, have over 5 ft of reach, pick up over 200 lbs, and pick place over 250 parts per minute. They also use Rockwell servo motors to run their axes so you can stay comfortably within your Studio 5000 software. 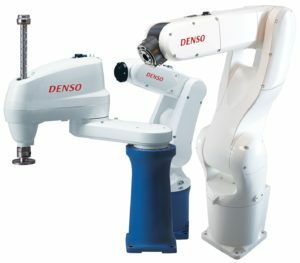 As the world’s largest manufacturer of small assembly robots, Denso’s scara and articulated arm style robots were designed for absolute reliability in the extremely competitive automotive manufacturing market. Whether it is speed, reliability, or environment restricting your application, Denso along with CED will find the solution that is right for you. CED, Denso, Codian, along with Rockwell are determined to give you the support and ease of integration you wish every product had. Contact your local Automation Technical Consultant at CED today to find the robot that is the best fit for you.